CloudMounter is a system utility for mounting cloud storages and web servers as local disks that lets you get the best of both worlds: near unlimited online storage capacity and the flexibility of a built-in hard drive. 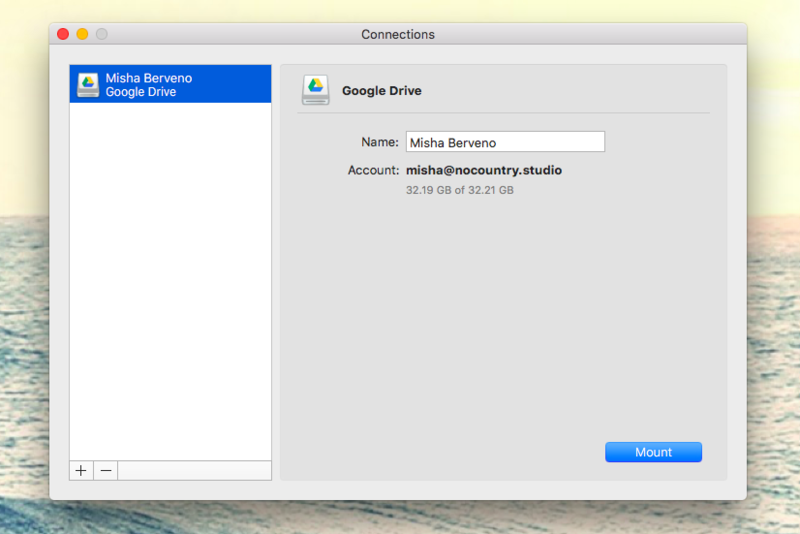 Here’s how to make your cloud network drive feel local. When you launch CloudMounter for the first time, it will show you a Connections menu, where you can choose which drive you want to mount most popular clouds as disks. Google Drive, Dropbox, or any server through SFTP are some of the options. Click on the drive you want to mount and log in. Once there, review the information and click Mount. 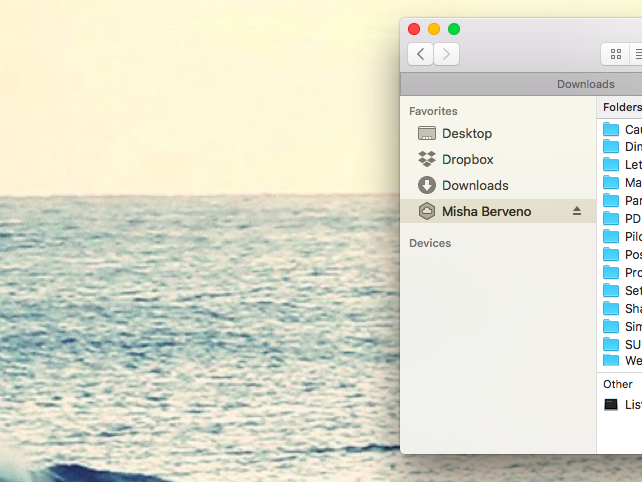 One of the best CloudMounter features is its complete compatibility with Finder on your Mac. After you mount cloud storage accounts, you can find their network drives in your Favorites sidebar, and open them up like any other folder to interact with any of the files — all without them taking any actual space on your hard drive. You don’t want someone scanning through your information — perhaps that’s why you’ve put it in the cloud in the first place. CloudMounter got you covered. You can right click on any folder inside your network drive to encrypt it, or choose to encrypt the whole drive if you click on the CloudMounter menu bar icon and select Encrypt. To narrow the distance between online and offline, CloudMounter always shows you what state your files are in. If you make any changes to your information, CloudMounter will reflect it in its icons, whether it’s downloaded, in progress, waiting, or experiencing some problems. 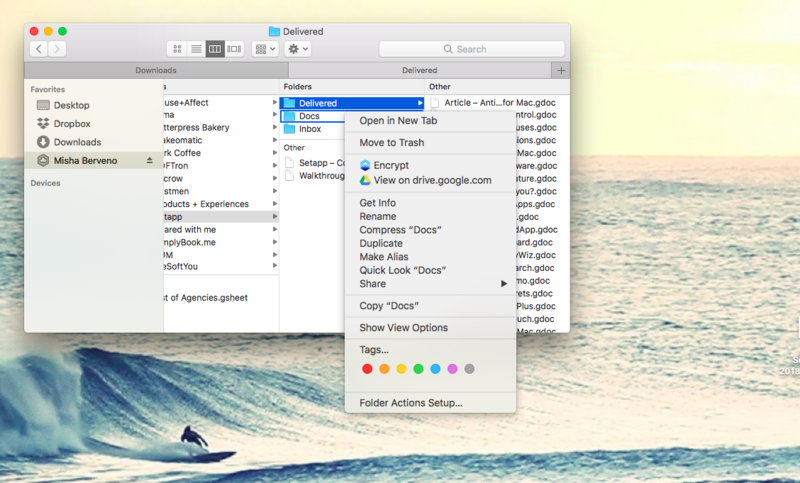 Then you can perform an appropriate action to make sure your files are in the state you want them to be. When you mount cloud drive as a local disk with CloudMounter and casually use it just for a few days, you’ll completely forget the storage limitations of your Mac. Even when you are on the budget, all cloud providers now will generally give you some space for free — so collect them all and easily increase your capacity for nothing. Download CloudMounter today from Setapp and try it at no charge for 7 days.